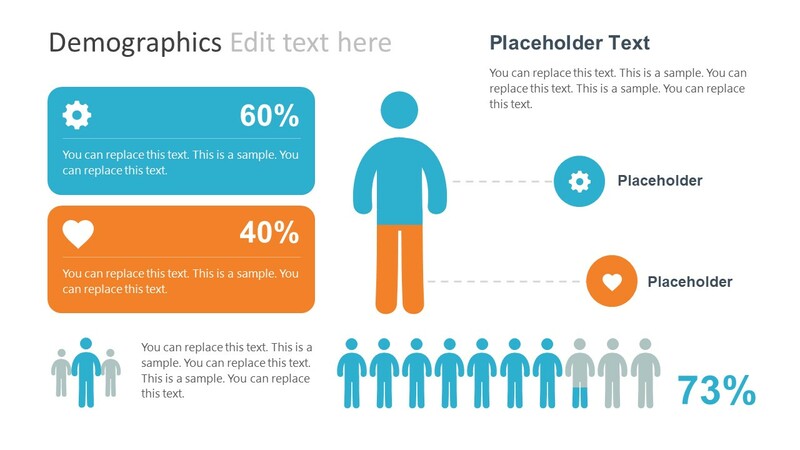 The Free Business Report Infographics for PowerPoint is a professional template design. 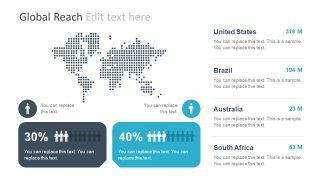 It is an infographic set of 4 slides containing amazing charts and business clipart for presentations. 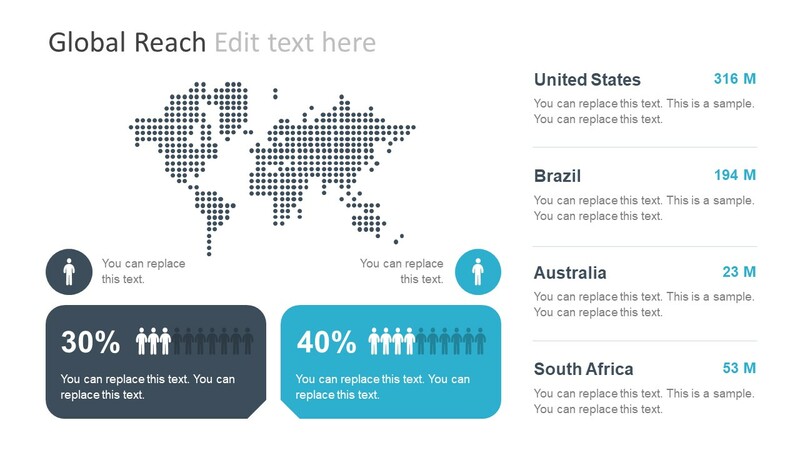 For example, the first slide shows digital world map icon and population comparison infographic charts. It can help illustrate the concepts like global outreach programs or the product and customer experience. 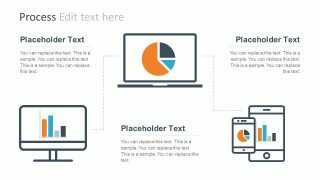 The free PowerPoint business template has plain white background with blue, gray and orange color theme. This color theme highlights the segments in an appropriate professional presentation design. 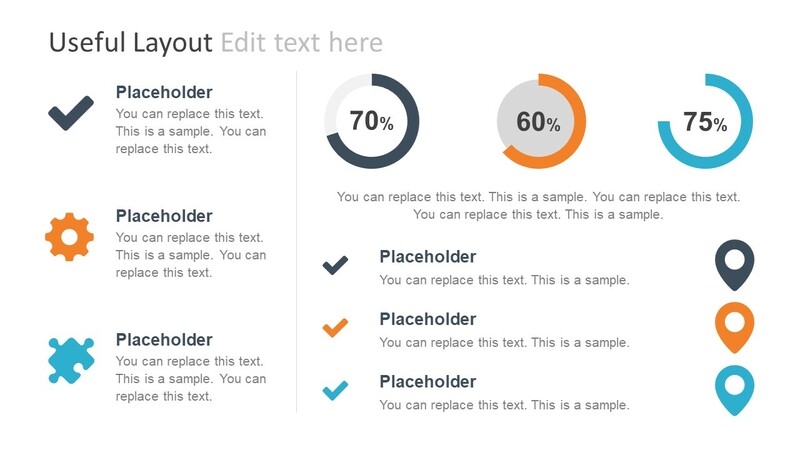 However, users can alter this business PowerPoint theme for a less executive look. To do so, go to the Design menu, and select the desired color pallet from Variant Dropdown menu. The Free Business Report Infographics for PowerPoint is suitable for creating office reports. Therefore, it is a presentation tool for the team to demonstrate business activities. 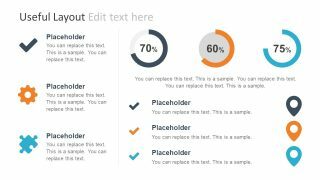 This template is also a quick and helpful set of slides to present the project progress. The use of graphics, bold and highlighted numbers and data charts assist the presenter to deliver complex information. This way, an audience can grasp the knowledge of relevant facts and figures effortlessly. For instance, the demographic slide PowerPoint displays 60-40% data through the stick figures. 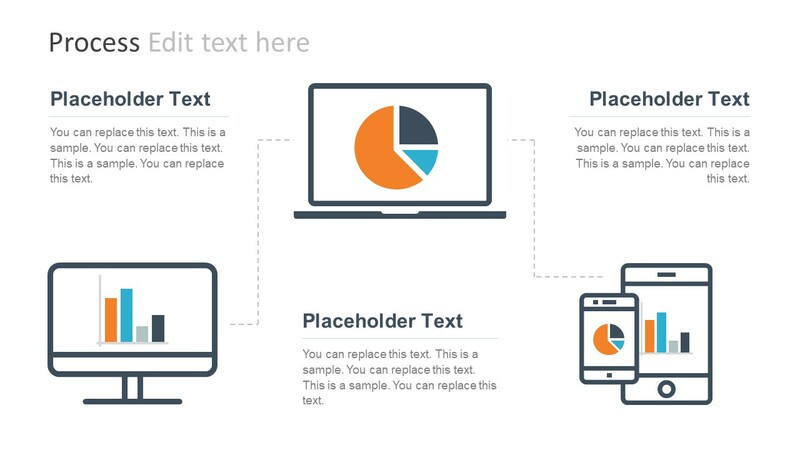 The free business report infographics also provide the useful text placeholder. These placeholders assist in an instant access to visual and readable content. The Free PowerPoint slides of the business report are the creative infographic templates. 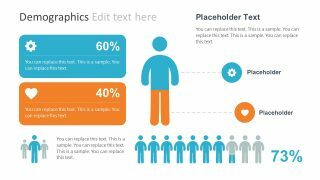 The companies and employees may find this business PowerPoint design helpful in combining data with graphics. Especially, the additional data-driven doughnut charts. These charts assist the user to add numbers from spreadsheets. The data-driven charts automatically update according to the numbers provided in the spreadsheet. The business PowerPoint design is not limited to annual progress presentations. Its layout is usable as a dashboard for product and sales reviews. And, visually illustrate the company’s KPIs in the professional periodic report.